Home Archive by category "Past-Animal-ACTivism"
The theme of this rally was ‘Refugee Lives Matter’. We wanted to say that ‘All lives matter’. 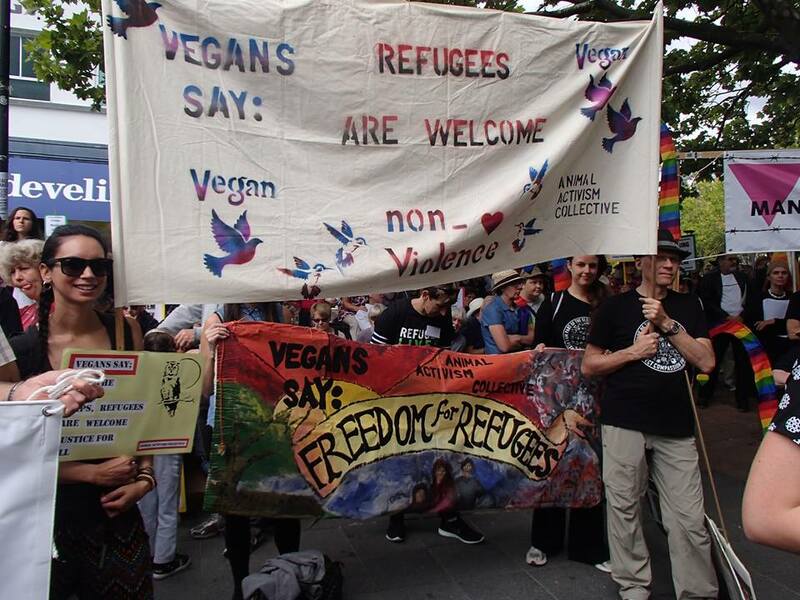 Thank you to the seven people who came and held banners and placards to show we vegans care about refugees. We were announced along with others and then marched out together holding our banners along with the many other groups present. More photos of the Refugee Rally on 20 March can be found in AnimalACTivism Collective’s album here. Click here to see us at last year’s rally. AnimalACTivism Collective organised a talk for James Aspey on 28th August at the ANU Tank lecture theatre. The topic was ‘Telling His Story’. About 70 people attended. Hot soup, chai, cupcakes and savoury food was donated. The money raised from this talk was given to James to support his activism. BREAKING THE SILENCE BECAUSE SOME STORIES NEED TO BE TOLD! Introducing James Aspey, a 28 year old peace activist from Sydney, Australia. In 2014, he embarked on an unprecedented and life changing challenge. James took a 365 day VOW OF SILENCE to raise awareness for animals and promote peace over violence. He did this while travelling around Australia, and also whilst cycling 5000km’s from Darwin to Sydney, in his popular campaign, Voiceless365. He then ended his vow, live, on Australia’s most popular morning TV show, Sunrise and now he’s sharing his inspiring story with the world! James also shares his life experiences which led him onto his unique journey. At 17, after being told he had 6 weeks to live unless he started immediate treatment, James went on to win his battle with Leukaemia. His journey took him deeper down the rabbit hole as he started analysing his own life and finding areas where he was causing harm and suffering to the planet, to himself, and to others. 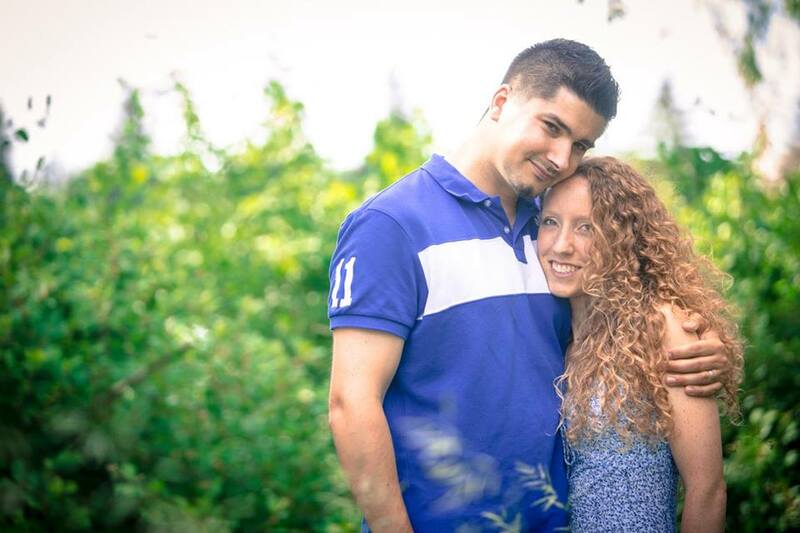 For the following 9 years, James became deeply passionate about helping others take control of their own health and happiness. He became a dedicated Personal Trainer, running his own business and travelling around the world giving health seminars on cruise ships. He is currently touring around the country to share his highly inspiring, contagiously funny, and incredible journey. His talk includes techniques on being kind to yourself and to others (including animals), chasing your dreams, achieving goals and stepping out of your comfort zone. AnimalACTivism Collective organised a 45 minute 2XX Radio Interview with James Aspey on Thursday 27 August which was aired on Soapbox. This was filmed by Adrian Muscat. AnimalACTivism Collective organised an ACTivism talk and Vegan Meal for James Aspey on 27 August at the Conservation Council. This was booked out with about 45 people attending. A very inspiring time! 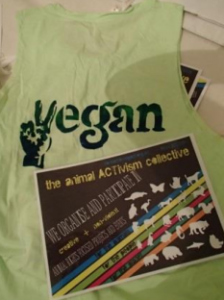 AnimalACTivism Collective organised a Cupcake/Laptop Challenge on Thursday 27th August. James Aspey and 5 local activists set the stall up in Garema Place and invited people to watch a 4 minute loop about the factory farming industry. The video clip was from Chris Delforce’s Lucent documentary. They were given showbags which included AAC No dairy cards, Vegan ACT brochures, Vegan ACT 30 Day Challenge Mentoring information, Vegan Easy bklets and a flyer to James Aspey’s talk at being held at ANU. Delicious Vegan Cupcakes were generously donated by Emily Brindley from Sweet Bones Vegan Bakery. This is proving to be an extremely effective form of activism and AnimalACTivism Collective plans to hold these events a few times a year. This was a very successful and well-attended event organised by a group of 20 people called ‘Team Earthlings ACT’ that came together especially to make this happen. It was followed by discussion and a delicious free supper. 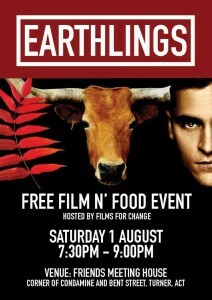 Members of the AnimalACTivism Collective leafleted for the Earthlings Screening at ANU for 2 hrs in August 2 hrs and gave out a few hundred little free movie flyers to a receptive bunch of students (see below for photos). Shawna was only in Canberra for 3 weeks but we were very fortunate to attend her talk to 106 ADFA/UNSW students and collaborate with her to organise a screening of the Environmental movie ‘Cowspiracy’ for the students. Shawna wrote: My talk “Change the World. Eat Great Food.” will reveal how what you choose to eat can either save this planet, or destroy it. I will expose the devastating effects animal agriculture has on our planet, the animals we share it with, and our health. We will attempt to understand how things got this way by exploring the influences surrounding our eating habits and government policy. By the end of the talk, I hope to show you how easy, healthy and delicious it is to change the world by eating great food, and how you will naturally inspire others to do the same. I live in Ottawa, Ontario, Canada with my rescue pitbull and husband, who is currently a PhD student at ADFA. I have a degree in Psychology and I am currently studying to become a Holistic Nutritionist. My husband and I have been happily vegan for 4 years and I’ve been an active member of Ottawa Animal Defense League for 5 years. I’ve participated in many protests, including one at Marineland in which we stormed the gates, and I’ve also taken undercover footage of a local roadside zoo for PETA. At every opportunity, I try to raise awareness of injustice towards animals and the environment. I see life as a gift that we must pay back by taking care of each other, the planet, and all of its creatures. Synopsis: My talk “Change the World. Eat Great Food.” will reveal how what you choose to eat can either save this planet, or destroy it. I will expose the devastating effects animal agriculture has on our planet, the animals we share it with, and our health. We will attempt to understand how things got this way by exploring the influences surrounding our eating habits and government policy. By the end of the talk, I hope to show you how easy, healthy and delicious it is to change the world by eating great food, and how you will naturally inspire others to do the same. Contact activism@veganact.org.au or jyoti.dambiec@gmail.com for more information. We had three great hand-painted banners, plus two big collaged people, and placards to stand and march in solidarity with refugees. Feedback has told us that it sends a really powerful message out to the public about Vegans ‘Caring’ when we are at things like this and organisers assure us that we are more than welcome at such events. It’s completely appropriate for people to attend events such as this as part of a group, in our case as Vegans in Solidarity with Refugees. RAC (Refugee Action Committee) actually encourages this as they feel it demonstrates the broad range of community groups who support refugees. 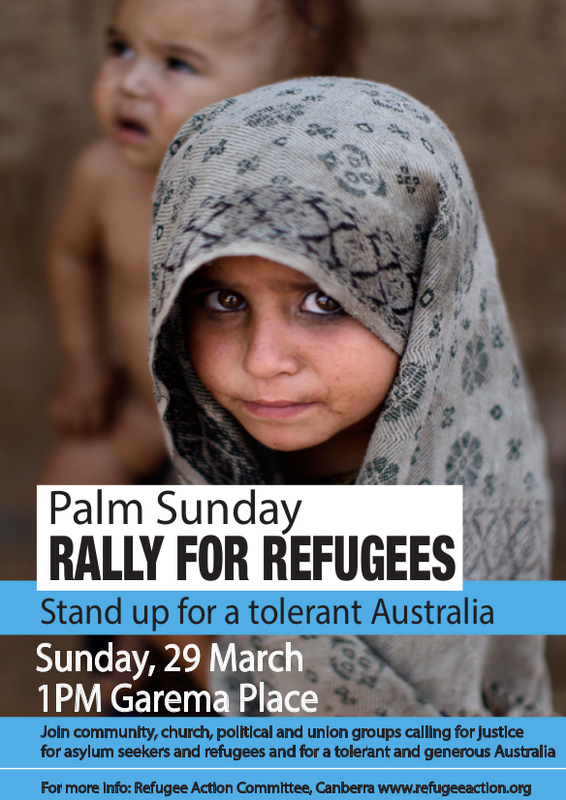 RAC wrote: The Palm Sunday Rally for Refugees is an annual event in Canberra where community, church, political and union groups from across the region gather together to voice their strong opposition to the Australian government’s shameful refugee policies. 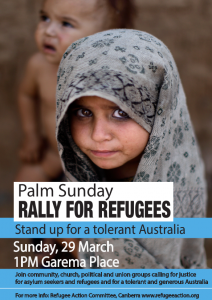 Last year’s rally saw over 2,000 people march through the city demanding an end to the mandatory detention of refugees and other cruel policies aimed at denying refugees their legal right to have their claims processed. Regardless of what our politicians say, it is not illegal to seek asylum in Australia by boat, not even under Australian law, and every asylum seeker has the right to live safely in the community while their claims are processed. 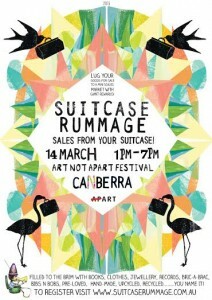 If you haven’t been to this, it’s great! In the past three years some of us have had vegan stalls, done chalk art, put up vegan paste-ups, and scattered vegan information about which proved very effective. This year Animal ACTivism Collective had a friendly, low-key Vegan presence with a small suitcase display. I sold vegan activist stencil laminated prints and smaller photocopies to pop up anywhere as well as my ‘Flying Lady Ceramics’, including some of the sought after skull pottery. Local vegan artist, Patrick Duthie, also had his ‘Living With Monsters‘ book at the great discounted price of $20 and local vegan artist, Jana, had some great stencil work for sale. In this 2 hour class, I took attendees through the steps to be able to begin their own cooking journey with these Tempeh, Cashew Cheese and Rejuvelac. 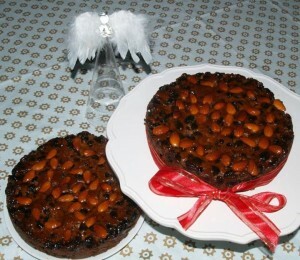 About Me: I am an experienced cook and teacher and at one time in the distant past was training as a chef. 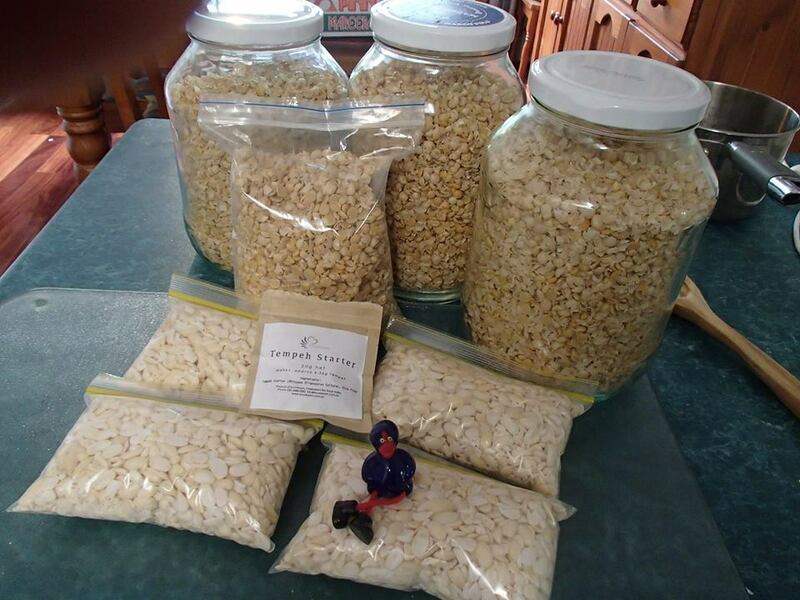 I have cooked professionally and over the years have regularly cooked for large numbers of people and I love to share my experience and enthusiasm for vegan food with others. I was vegetarian for 29 years and vegan for the last 3 or so. My other love is organic gardening which I’ve been doing most of my life and more recently I’ve been gardening without the use of animal manures. Another love, and passion for my whole adult life is clay. I have worked as a ceramic artist for the last 35 years, including teaching art/pottery at Orana Steiner school for 7 years. My ceramic teaching days have ended and now I’m free to share my cooking experience with you all from time to time. I hope to do more cooking classes this year if time permits. On the evenings of 15 and 23 January, groups of ten or so gathered at Jyoti’s house to watch the brilliant and just-released movie Cowspiracy with attendees enjoying a delicious dessert of Blackberry and Apple Crumble with home-made vegan Coconut ice-cream (The blackberries were came fresh from Jyoti’s organic Vegan garden). It is a powerful movie and a must see. It is an excellent one to show to non-vegan friends, especially if they are concerned about the environment. It does not contain graphic images apart from one small 30 second scene which you know is coming and you will miss if you blink, and also two scenes of fish slaughter. About the Movie: Cowspiracy: the film that environmental organizations don’t want you to see! the planet." — Louie Psihoyos, Oscar-Winning Director of "The Cove"
movement." — Darren Aronofsky, Director of "Noah" and "Black Swan"
Cowspiracy: The Sustainability Secret is a groundbreaking feature-length environmental documentary following intrepid filmmaker Kip Andersen as he uncovers the most destructive industry facing the planet today – and investigates why the world’s leading environmental organizations are too afraid to talk about it. Animal agriculture is the leading cause of deforestation, water consumption and pollution, is responsible for more greenhouse gases than the transportation industry, and is a primary driver of rainforest destruction, species extinction, habitat loss, topsoil erosion, ocean “dead zones,” and virtually every other environmental ill. Yet it goes on, almost entirely unchallenged. As Andersen approaches leaders in the environmental movement, he increasingly uncovers what appears to be an intentional refusal to discuss the issue of animal agriculture, while industry whistleblowers and watchdogs warn him of the risks to his freedom and even his life if he dares to persist. 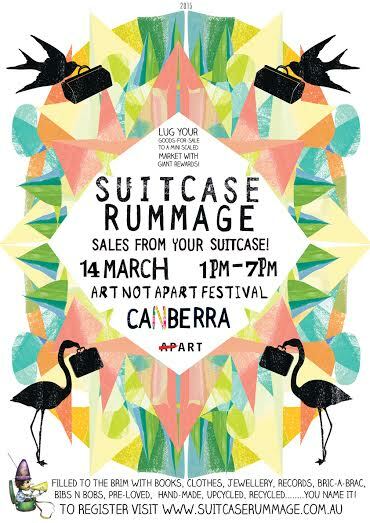 On Saturday, 15 March, 2014, the AnimalACTivism Collective and ACTVVS (now Vegan ACT) held a stall at the Art Not Apart Festival. Thanks to Rowena, Jyoti and Dieter for making this happen. This was a worthwhile day promoting vegan living. Creative, non-violent activism was one of the important ideas in the mind of some of us who started AAC. Wearing a vegan T-shirt is a great way to do outreach while we go about our daily lives. We have purchased some fabric ink to stencil some T-shirts and singlets. 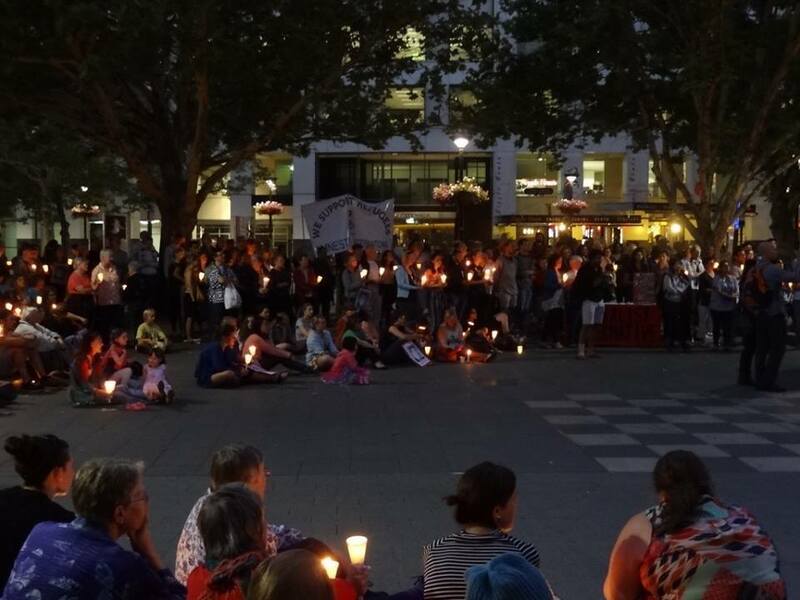 On Saturday 22 February a small group of us took vegan banners and attended the Refugee Action Committee’s vigil in Garema Place for Reza Berati, the Iranian refugee who was killed at Manus Island. You can read more about Reza Berati here. Our presence at the vigil received intrigue and interest from the public. One lady came up to us and said that she didn’t know vegans were political and was so happy to see ‘us’ (vegans) there at the rally supporting refugees and being involved in social justice issues. Another person who chatted with us said a similar thing, and said she was so happy to see us there. Also, two Hazara refugees from Afghanistan stopped to chat, and shared their stories with us. AnimalACTivism Collective plans to organise more actions like this so there is a more visible vegan presence. Many of us go to protests/vigils around social justice issues, and we thought it’s good to identify ourselves as vegans at these things so people can start to understand better that we care about human beings, the environment and a host of justice issues, as well as animal rights. Preparing for ‘Walk For Justice’ Refugee Rally TOMORROW.